While you were waiting for Santa Claus to sneak the presents under the tree, this original song from their holiday-themed album was a favorite both on MTV’s Total Request Live and on all-holiday music radio stations. Ah, yes, the one the started it off for the boys here in the States. The cool pop track, co-written by Max Martin, caught on very quickly at radio, going to #5 on the pop airwaves, while cruising up to #13 on the Hot 100. This is the band’s only collaboration on the list, a duet with Estefan. She also starred in the film with Angela Bassett and Meryl Streep. Due to strong physical sales, “Heart” went to #2 on the Hot 100 in the fall of 1999. Although never released as a single in the U.S., “Go” was a top ten success in Austria and Germany and went to #5 on the Swiss Singles Chart. It was also promoted in conjunction with the 1998 Disney film A Bug’s Life. Originally titled “Thinking Of You”, this was the fourth U.S. single from *NSYNC. Unfortunately, they “made a mistake” releasing two ballads in a row; “Crazy” topped out at #12 on CHR radio and #67 on the Hot 100. This is the highest non-single on the list, although one of the local stations sold it as the “second single” from Celebrity before it was officially announced as “Gone”. It’s as glossy as they come, fusing pop with dance. I’m sure you remember the video where they appeared as toy dolls, or at least for the “It’s gonna be May” meme that goes around every year. “Gonna” spent six weeks at #1 at CHR radio and also topped the Hot 100. This was the first song I ever heard of theirs, mainly from seeing the video so much on the now defunct Fox Family Countdown. It’s a classic pop record. It tore up the radio charts too, going to #5 in the fall of 1998. This one came in with a bang and crashed just as quickly, which was too bad because it’s just an excellent song. Plus, member Lance Bass named his SiriusXM show after it, Dirty Pop. This landed at #5 on CHR radio. 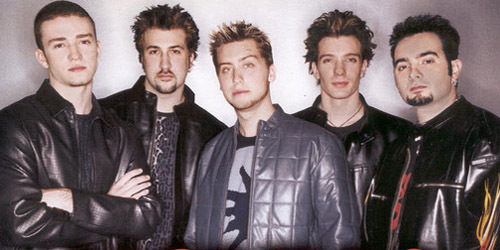 Call it the “Holy Grail” of *NSYNC singles (I see what you did there, Adam) but it was ultimately the song that built the hype up that lead No Strings Attached to a debut week of over 2.4 million copies sold in the U.S. alone. I certainly couldn’t wait for it, and for a time, I knew most of the moves in the music video. I’ll have to brush off my steps and see how I can do. “Bye” went to #1 for ten weeks at CHR and top ten on the Hot 100. For more on *NSYNC and everything ‘n the pop atmosphere, follow the blog below or hit the “Get Social!” tab to find out how you can connect with PGTC on social media. Also, don’t forget to watch the MTV Video Music Awards this Sunday at 9PM Eastern to see if the rumors are true!